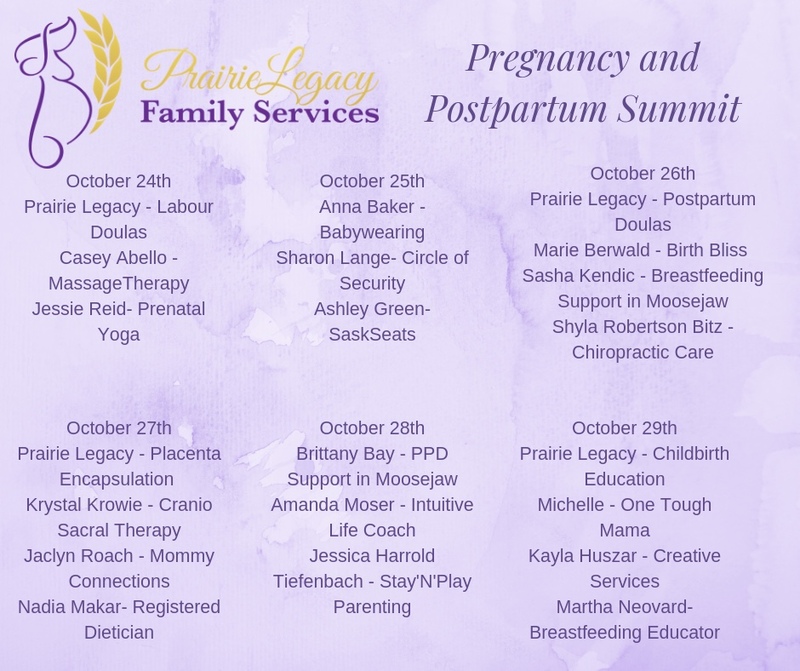 We are so excited to announce that we will be running the Prairie Legacy Pregnancy and Postpartum Summit again in October! It was such a success and so much was learned in April that we decided we should run it twice a year! This summit will be absolutely filled with great information on so many topics that are relevant to your journey through pregnancy and parenting a brand new soul. Everyone interviewed in this summit works with pregnant mothers in Saskatchewan! We can't wait to meet you all!